Custom Brass and Leather Coasters (Set of 4), Personalized in Bulk. Promotional, Inexpensive. Budget Prices in the USA and Canada. Special Clearance Sale! 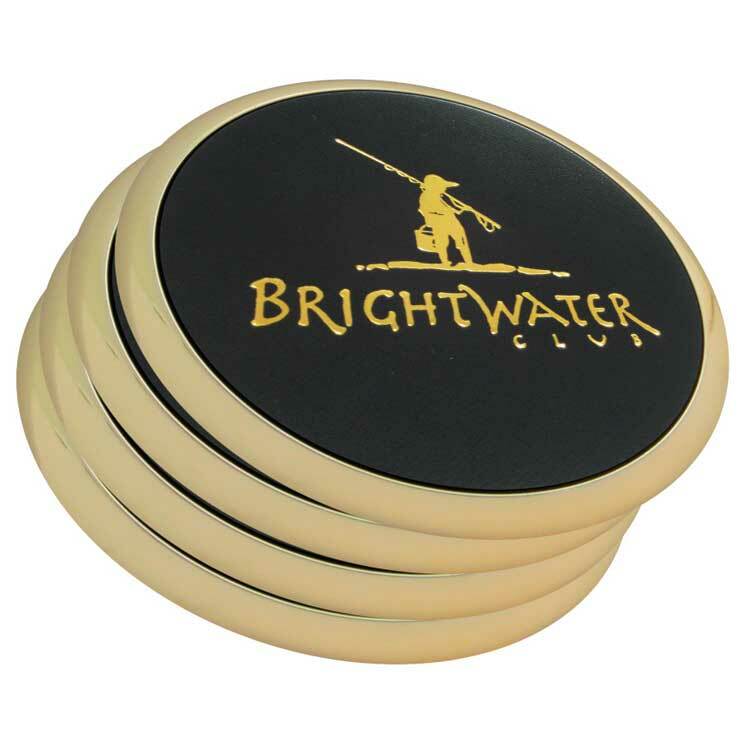 We supply sets of 4 high quality coasters with leather inlay inside brass finished frame. 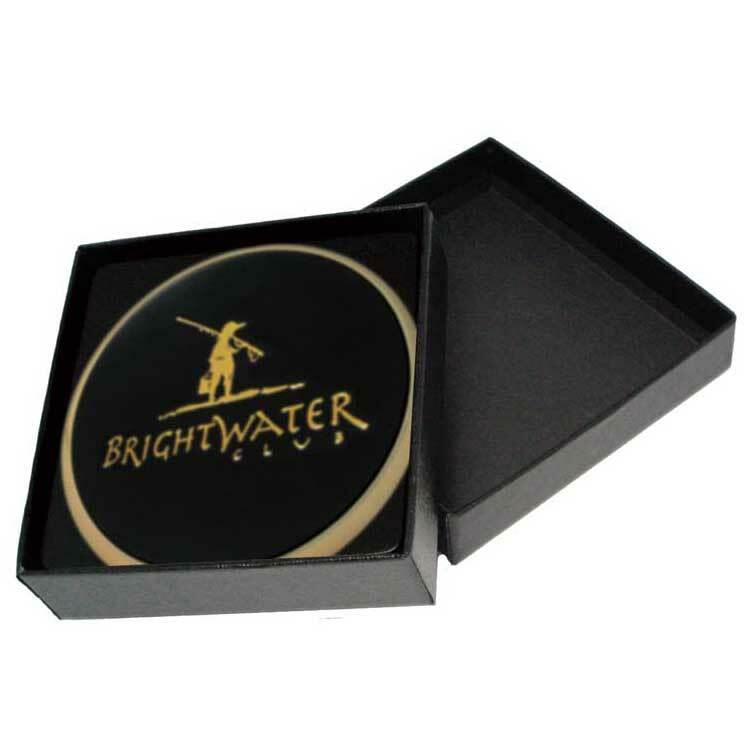 All 4 leather coasters are personalized with your custom imprint in Gold, and packaged in a gift box. We have the lowest prices in USA and Canada for deluxe leather and brass coasters. American clients pay no taxes. Free artwork design. Unit prices below are for sets of 4 brass and leather coasters and include your 1-color custom imprint on all 4 coasters. Setup Charge of $70.00 for imprint or debossing on all 4 coasters in the set; No Setup Charge on re-orders. Production Time: 10-15 working days after art approval; Blank (not custom imprinted) leather coasters ship next day. Colors: black, tan, navy blue, red, yellow, orange. Set of four coasters in gift box. See other models of Wholesale Promotional Products at the same clear-out prices.